Starting with the amazing lineup NNMF put together featuring Mr. Carmack, DirtyBird Players, Emancipator, Sage the Gemini, Brasstracks and other acts that destroyed the stages they performed on. One of my personal favorite sets was from the Brownies and Lemonade All Stars who also brought out Luca Lush. If you’ve never experienced a B&L set, you are definitely missing out. This one in particular was the perfect combination of futuristic bangers and nostalgic throwbacks as the All Stars threw down for a whopping 3 hours on the River Stage. Yes there was a stage right next to the River that was playing jams all throughout the day! Camping included various types of terrain from dried up riverbeds to grassy knolls, and of course the infamous Grove with probably the best shade at any festival we’ve seen so far. 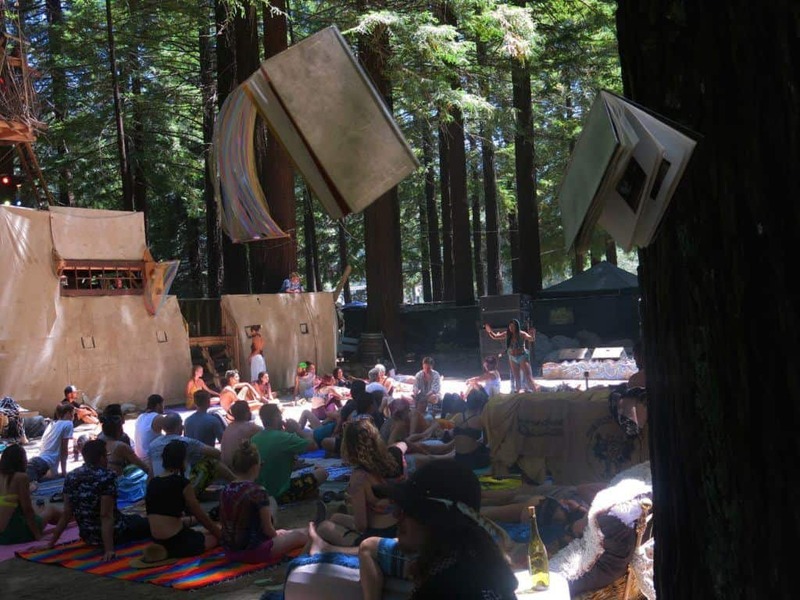 Besides a shady area to camp, the Grove had its own stage that was artistically crafted from the point of entering! During the day the space provided a place for workshops and special self empowerment classes which was followed by musical performances in a more intimate setting than Main Stage. 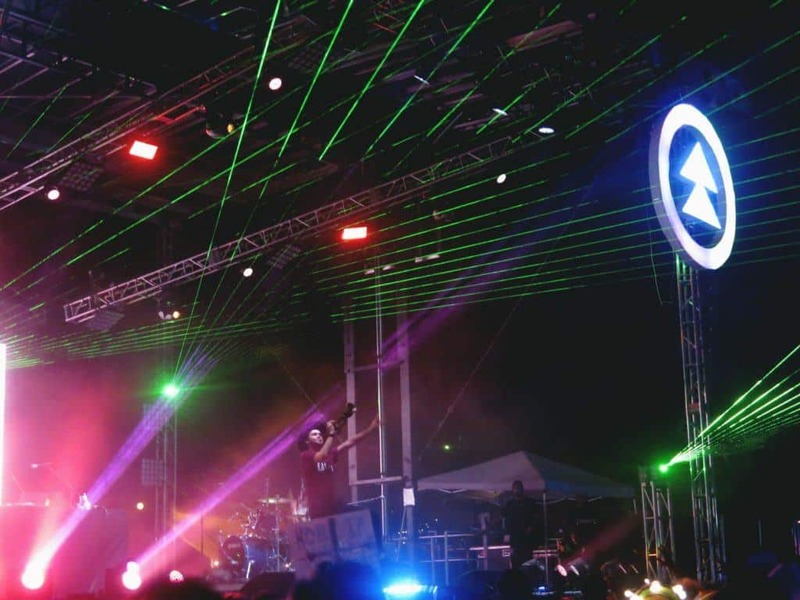 Speaking of Main Stage… the lasers, lights and sound were all on point! Three nights of some killer acts followed by silent disco as headliners finished their sets. Along with silent disco at the main stage after hours, there was also a stage for those partying through the night! The Bunker Stage will forever be one of the most lit stages I have seen in awhile. After headliners’ sets ended the first night, festival goers began to follow the emanating call of wartime sirens to a hill on the outskirts of the event. A top the hill, we found a whole other stage dug into the hill! With watchtowers, an open stage and turf to keep the dust down, the Bunker Stage went hard all night until the sun came up. Featuring some awesome house artists and special guests, NNMF was definitely prepared when this stage was up and running. Article and photos by Demiurg3. Be sure to catch his show, ‘The Smile High Club,’ every Thursday 2-5pm — tune in to 90.5 FM or stream from our website!